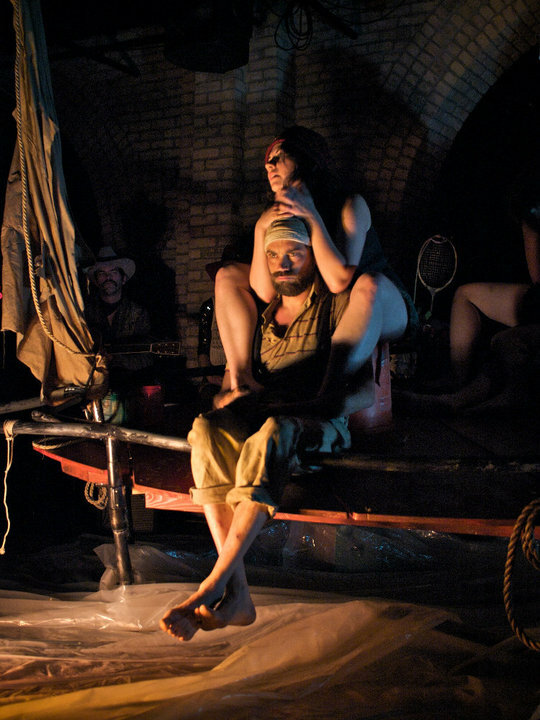 Finn, Valentine and Louie float aimlessly through the ocean on a home-made shanty boat. They cannot go back to land; they cannot steer; they do not want to talk about it. When the mysterious Dog-Man shows up, it seems like a good excuse to open up the last can of peaches in heavy syrup and have a party. The Catfish, July 2010, Minneapolis MN. Directed by Samantha Johns. Directed and produced by Jiana Estes, Chicago IL, May 2016.